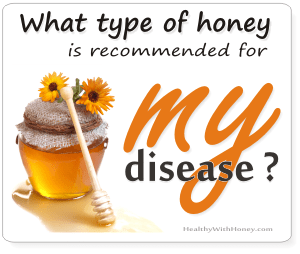 Have you ever heard of beebread? Or bee bread? It’s like bees’ bread only that is excellent for humans, too. Even better than fresh bee pollen. 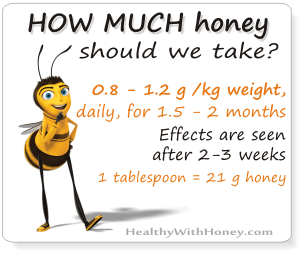 Honey bees make honey and we know they are doing it to eat it. But this is not their only food. When they are babies (larvae) they eat royal jelly and then they eat honey and pollen. But not the pollen as it is in flowers or the bee pollen that we find in our markets. Beebread is fresh pollen gathered by honey bees in their foraging trips. They take it into the hive and pack the granules into empty comb cells, mixing them with nectar and digestive fluids and sealing the cell with a drop of honey. Once processed in this way, the pollen remains stable indefinitely. 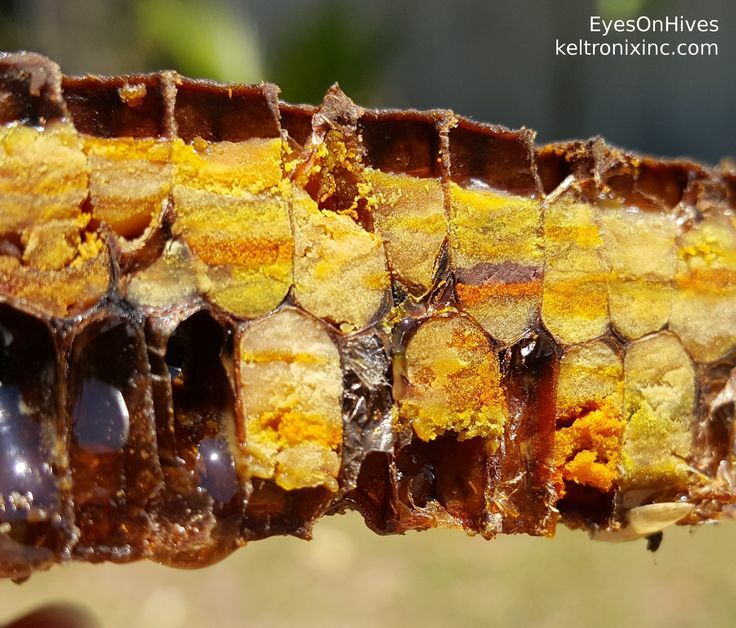 Here is a picture (courtesy of keltronixinc.com) showing how pollen of different colors, depending on the flower source, are layered in the comb cells. Beebread is indeed the bread of the bees. The regular temperature in the hive is around 37˚C and this makes it an ideal environment for mould growth. Honey bees bring the nectar into the hive and immediately start ventilating it to dry out the water from it. Fresh pollen is also high in moisture (and protein) and it cannot be left like that in the hive. 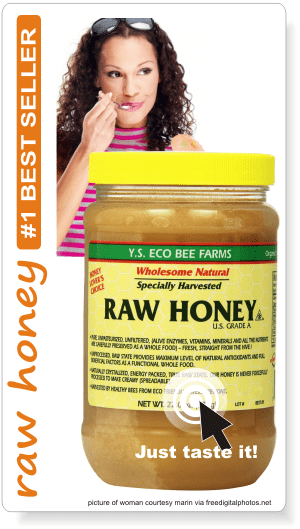 Why is bee bread superior to bee pollen? Honey bees place the pollen into the cells and add digestive fluids from their body, which are rich in lactic acid bacteria (LAB) (Vásquez and Olofsson 2009). The bacteria metabolise sugars in the pollen, producing lactic acid and lowering the pH from 4.8 to around 4.1 (Mattila et al. 2012)—well below the generally recognised threshold for pathogenic microbial growth of 4.6.
the end product more digestible and enriched with new nutrients. 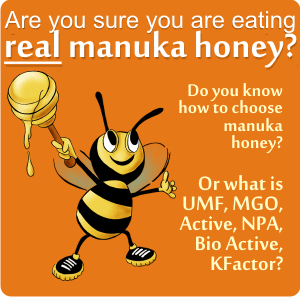 Due to this fermentation, there is almost unlimited storability of beebread in comparison with dried or frozen pollen in which nutritional values are rapidly lost. Many of the bacteria which come to dominate fermented pollen are also some of those most common in fermented food products made by humans: Oenococcus, Paralactobacillus, and particularly Bifidobacterium, a known probiotic genus, whose activity in bee hives has also been correlated with lower counts of pathogenic microbes (Mattila et al. 2012). Ever since 1979, Gilliam reported the presence of beneficial yeasts and fungi in bee bread. Unfortunately, many of these beneficial fungi are susceptible to fungicides in the environment (as shown by Yoder et al. in 2013), which are often applied to plant crops. Greater microbial diversity of beneficial microbes in bee colonies has also been correlated with greater genetic diversity of the bees themselves, and this symbiosis between bees and their microbes, like in humans, is becoming increasingly studied as a likely fundamental part of overall hive health. (Mattila et al. 2012). Not that it matters much, but scientists still do not know exactly which species of microbes are driving this transformation of pollen into bee bread, or exactly how. Until now, studies have shown that in Apis Dorsata, the giant Asian honey bee, there are two bacterial phyla (Proteobacteria and Firmicutes) and four classes (Alphaproteobacteria, Betaproteobacteria, Gammaproteobacteria, and Bacilli), but the frequency varied among the different stages and locations. The classes of Gammaproteobacteria and Bacilli dominated among larval, newly emerged worker and old worker developmental stages. Apis Mellifera has some gut bacteria that include both Gram negative groups, such as Gilliamella apicola and Snodgrassella alvi, and Gram positive groups such as certain Lactobacillus and Bifidobacterium species. These gut bacterial species appear to have undergone long term coevolution with honey bee and, in some cases, bumble bee hosts. Studies have also shown that antibiotic treatment applied to honey bees can have persistent effects on both the size and composition of the honey bee gut microbiome. Just like in humans. And the more beekeepers use antibiotics on them the less bacteria are in their gut and then pass into bee bread. In addition to preservation (Anderson et al. 2014), the fermentation process of the pollen also renders its nutrients more available (Mattila et al. 2012). Some proteins are broken down into amino acids, starches are metabolised into simple sugars, and vitamins become more bio-available (Degrandi-Hoffman, Eckholm, and Huang 2013; Herbert and Shimanuki 1978). In this sense, bee bread is even more health-giving than the more commonly available fresh bee pollen. A sensory transformation of the bee pollen into bee bread is also most remarkable. – the fermentation also produces secondary aromas that generate new flavours of fruit—some, for example, gain the distinct taste of mango. The particularities of the fresh pollen, depending on the season and its plant sources, become enhanced, and new qualities that were not present before are revealed with bee bread. It is possible to make a type of fermented pollen at home. But to differentiate this from the original bee bread, this product is not called “bee bread” but “home bee bread”. See here how it can be done: Beebread. APILARNIL extract combined with beebread has nearly all the properties of Royal Jelly! Amazon sells some good quality bee bread from the pristine Altai region of Siberia. The area is pesticide and pollution free, so the bee products harvested here can surely be considered organic. From Rusia, a country with tradition in apiculture and apitherapy, comes a high quality product from g. Sochi, Russian Factory: 100% Fresh Organic Bee Bread (Perga, Ambrosia). Factory pack (100 g.) , available on Amazon.com. 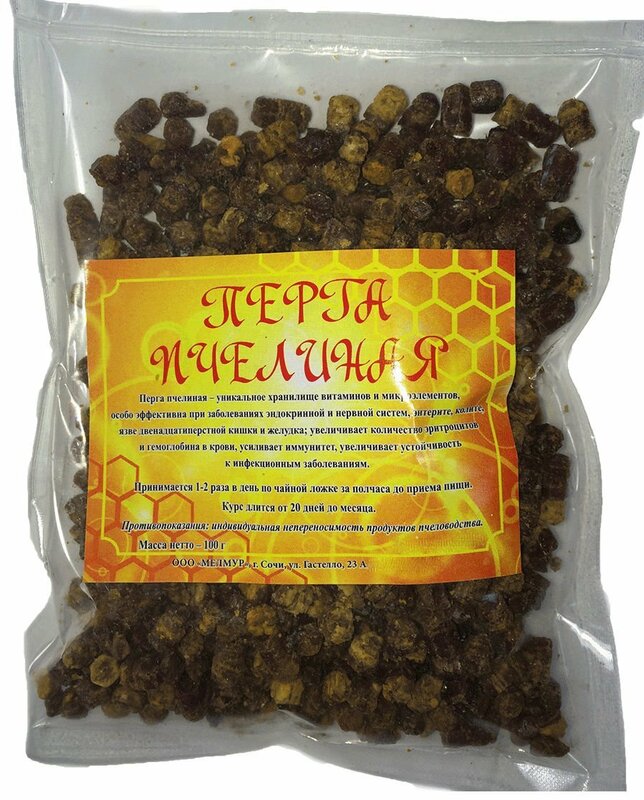 Or another product from Siberia, available on Amazon.co.uk 100% Raw Siberian Bee Bread (2017)- Naturally Fermented Pollen & Honey Superfood, higher nutritional value, 100g . The potent bacterial activity of the bee bread also makes it a fantastic inoculum for a robust start to lactic fermentation of cream into crème fraîche or for butter. bread 79, NAHRUNG FOOD 48, 226-229.
different floral origin honey and beebread phenolic extracts. Food Chemistry 101 (2): 502-514. Your grandpa isn’t eating enough? 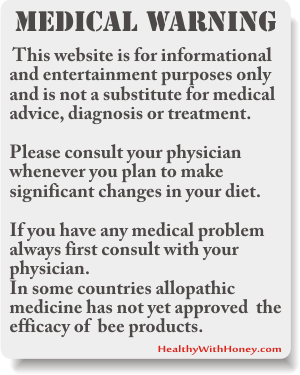 Try a natural supplement recommended for old people: bee pollen. What are the health benefits of bee bread? hello dear . 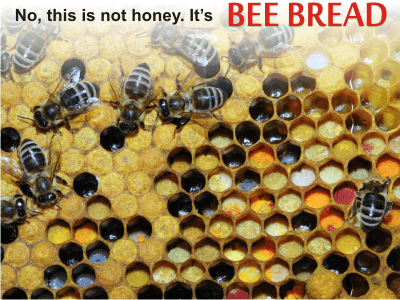 do you think that bee bread has affect on agressiveness of bees ? I’m not a beekeeper, but no, I don’t. Beebread is their highly nutritious food, I think only genes and external conditions can influence their behavior.